One of the fantastic things about telling the story of ANNE OF GREEN GABLES is that everyone knows and loves the tale of the imaginative, red-headed orphan. 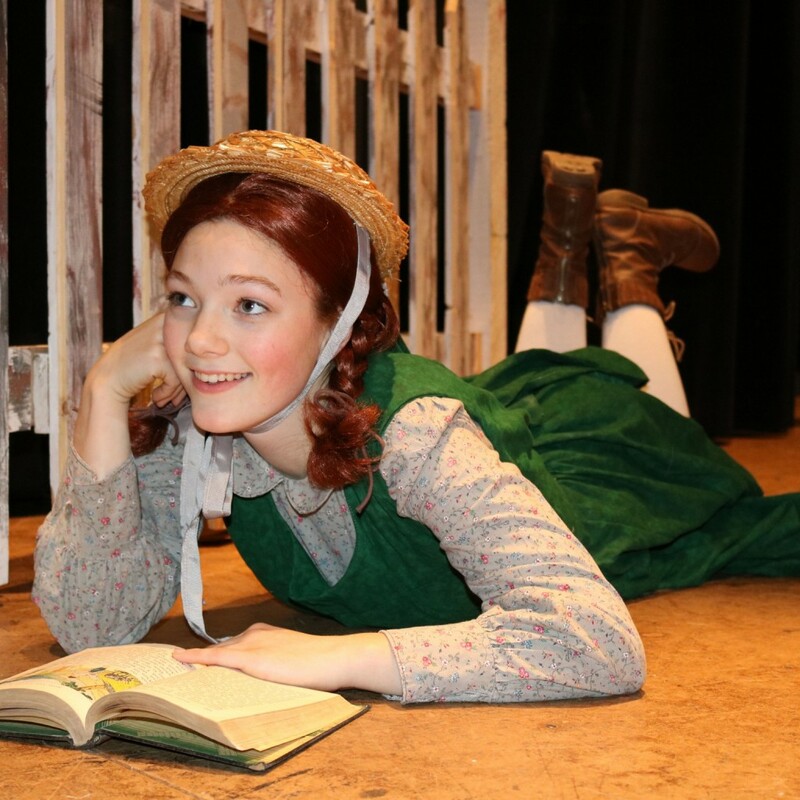 Just like the townspeople in Avonlea, we find Anne enchanting. I grew up reading the ANNE OF GREEN GABLES books and watching the movies, just like so many others. But why has a story written more than 100 years ago remained so popular? Why have the books been made into movies… and plays… and musicals? Why do people adore a girl who grew up in the early 1900’s, and in CANADA, of all places? Maybe our society continues to admire ANNE OF GREEN GABLES because we can relate to Anne’s struggles with identity and her need to belong. Maybe, it’s because Anne’s dramatic flair exposes every human being’s desire for family, friends, and home. We find her adventures so remarkable because they could happen to anyone. Yet, Anne reacts with such extreme emotion; the everyday scene becomes vibrant, mysterious and full of life through Anne’s eyes. Maybe her exclamation of every feeling reveals what we all have felt before, and that’s why we can’t get enough of her story. I am amazed that despite her lonely, difficult childhood, Anne still hopes that her dreams will come true, instead of doubting that she can obtain what she wants. As she finds her bosom friends and kindred spirits, we can learn from her example to appreciate our own friends and family. Anne’s determination pushed her to achieve great things in her community and education, which fulfills our dreams to make a difference and to obtain success. Maybe we love ANNE OF GREEN GABLES because she is a very relatable character. We might love her because her goals and desires are so close to ours; we have the opportunity to gain everything we want, vicariously, through Anne. Isn’t it incredible that a fictional character’s life story has the ability to last so long and touch so many hearts? This special saga has become a classic because of this power. Anyone who hears Anne’s tale learns something from her experiences; from Marilla’s pithy sayings to Diana’s dedication to her bosom friend. As we discover valuable lessons, we can also discover ourselves in her story because of her timeless conflicts and resolutions. I am certainly one of the many girls who has wished for her fiery spirit, beaming confidence, and… (of course) her red hair. However, I can value my own strengths and weaknesses after reading ANNE OF GREEN GABLES because Anne teaches me to have courage in myself. Maybe that’s why her story is a classic that will always be told and loved.